It’s been called the best kept secret of San Francisco’s photography industry, and we’re starting to believe it. It also happens to house the most uniquely hip studios around with tons of style, plenty of space, and ultimate convenience. When it comes to shooting here, you’ll enjoy direct street access and a comfortable, self-contained, and private atmosphere that’s productive and inspiring. You’ll be awestruck walking in from the street by the cool vibe, dramatic space, and comfortable feel. Just maybe the best part is being mere blocks from Bart and steps from local coffee and groceries; San Francisco’s Mission District has plenty to keep you entertained & happy. The West Studio is the Capitol Art original that has been around the block and seen it all. 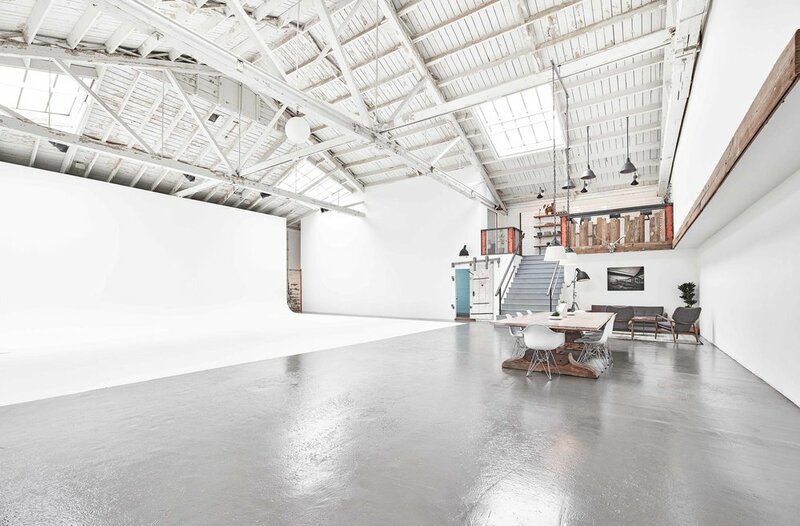 Nearly 4,000 square feet offers your production plenty of space to spread out and be productive yet comfortable, and the massive 40’ cyc is a photographer’s dream. It’s unassuming from the outside and awe-inspiring on the inside, a true hidden gem in San Francisco. If you need a cyc, private conference room, separate hair & make up, or just really want to impress your clients, the West Studio is the place to be. Workshops, Off-site meetings / team building, Casting, Product demos or testing, Market research, Focus groups and Automotive presentations. 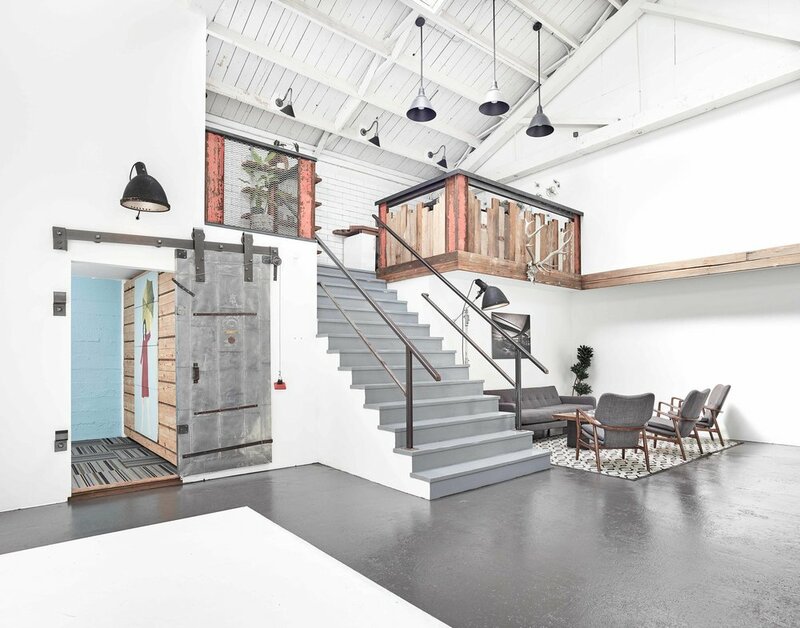 With over 3,000 square feet of space and the same exposed beam ceilings as the West Studio, this 2018 addition to Capitol Art offers a new alternative when you need flexible production space at a great value. Located right next door and due East, the roll-up door allows plenty of access for your grip or set trucks, and nearly 1,000 square feet of "living space" offers comfort to you and the crew. 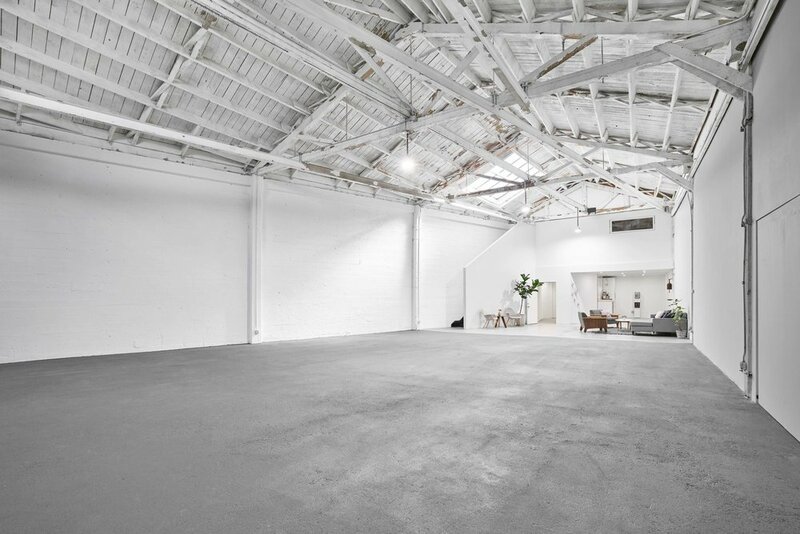 The East studio is now booking as a stand-alone studio or in conjunction with the West Studio for a massive production space unlike any other! Designed as a bespoke photo studio, Capitol Art’s dramatic urban-industrial vibe offers event planners, producers and clients a blank canvas on which to realize their creative visions. Exposed beam ceilings that peak at 35’, a unique but flexible design aesthetic, and massive white walls all contribute to its powerful impression. With spaces unlike any other and a convenient San Francisco location, the venue lends itself to all kinds of events from private dinners to product launches - and everything in between. Each studio can independently accommodate an event for up to 49 persons, or combine them for a massive 7,000 sq. ft. venue and 98 person capacity. Interested in booking an event? Use the form below or give us a call to speak with our Sales Director. or, ask us some questions. Thank you! We'll get back to you as fast as humanly possible!